Three Reasons to have your HVAC System Serviced this Fall | Bradigan's Inc.
With the temperatures dropping, it will soon be time to dust off your furnace and get it ready for the winter season. To avoid an untimely breakdown when you need your unit the most, it’s crucial to have it inspected by an HVAC contractor in the earlier weeks of fall. Here are just a few of the benefits of scheduling a fall HVAC inspection. Your furnace should be inspected before the cold season to rule out any issues that may interfere with operation. The last situation you should want to deal with is an untimely breakdown in the middle of winter. Technicians can identify and fix any minor issues before they turn into major ones. 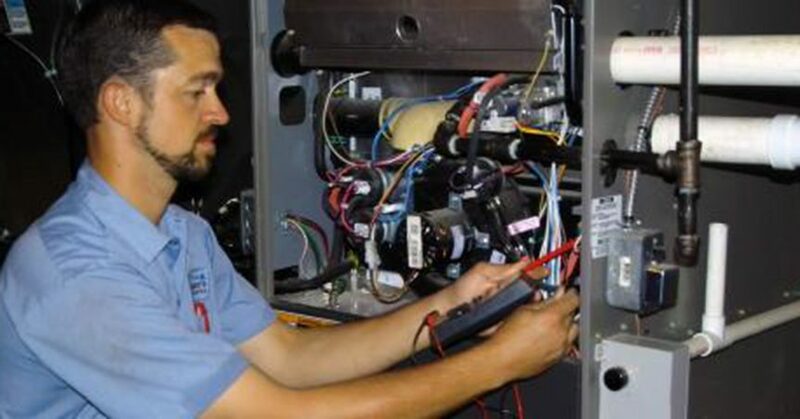 An HVAC technician will inspect all the components within your furnace to ensure there are no leaks or debris. For example, a dirty air filter can force your furnace to work harder to heat your home, which increases your monthly bills. Preventative care is crucial to maintaining your system’s energy efficiency. During an HVAC service visit, a licensed technician will clean your furnace, replace the air filters, and lubricate all of the moving parts. Not only does this keep your furnace operating at peak condition, but it also increases its lifespan by helping you avoid damage and emergency repairs. Scheduling your HVAC inspection in the fall will ensure it can operate at peak performance during the winter. Bradigan’s has been the leading heating and cooling company in Kittanning, PA, since 1952, and is known for exceptional customer service and quality results. Give us a call at 724-548-7654 to schedule an appointment with one of our licensed technicians.